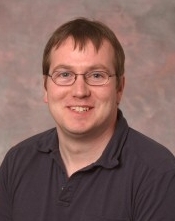 Frank Martin holds a Chair in Biological Chemistry at Lancaster Environment Centre, Lancaster University. Since establishing his laboratory and research group he has had >50 group members and he has supervised >15 PhD/MD students. His laboratories are housed within the Centre for Biophotonics, of which he is the Director. Frank is developing cutting-edge spectrochemical analysis techniques and has published over 130 peer-reviewed articles and two book chapters in toxicology, cancer biology and biospectroscopy. Enter your email address to subscribe to news and events and receive notifications by email. Copyright © 2019 The International Society for Clinical Spectroscopy. Powered by WordPress. Theme: Ample by ThemeGrill.